The Russian designers are about to fulfil the consumer’s dream of an affordable helicopter, with Afalina rotorcraft expected to cost about half than currently the cheapest offer on the market and run on car fuel as it goes into production in 2016. 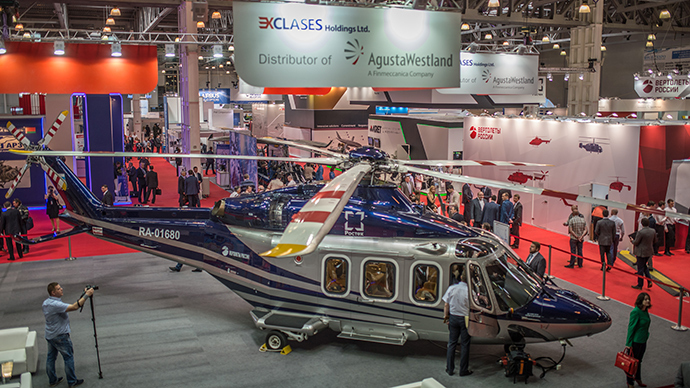 HeliWhale, a company from the Siberian city of Kemerovo, revealed its unique helicopter at the HeliRussia 2015 exhibition, which took place in Moscow in late-May. An ultra-light, coaxial two-seater is called Afalina, the Russian word for bottlenose dolphin, with the rotorcraft’s hull resembling the shape of the marine mammal’s body. Afalina is designed as a multipurpose helicopter capable of performing a variety of tasks, including the training of pilots, maintenance of pipelines and power lines, aerial surveillance, police patrolling, transportation of personnel, farm work and recreational flights. One of the machine’s key features is the customizable Enigma system, which allows the pilot to pick and choose his cockpit display layout from hundreds of devices and functions. The coaxial positioning of rotors used in Afalina ensures that the aircraft is easier to pilot, more silent and more resistant to lateral wind gusts. HeliWhale said that the patented new control system of coaxial rotors also provides the helicopter with high velocity of up to 250 kilometers per hour at max speed. The aircraft, weighing 270 kilograms, is capable of carrying a payload of another 180 kilograms, the company said. According to HeliWhale, the helicopter will cost $120,000, which includes heating and ventilation systems in the cockpit. 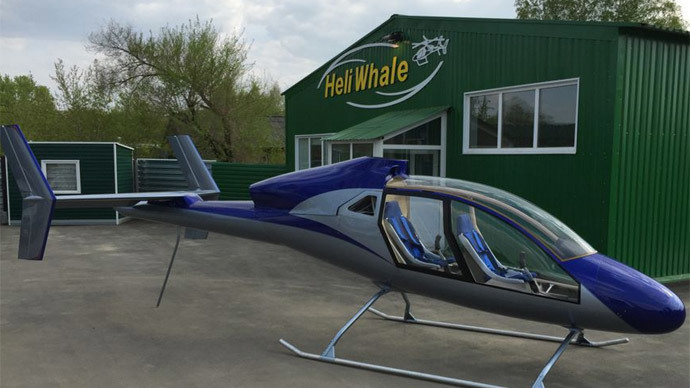 “Today nobody else produces aircrafts of this class, even the two-seater ‘Robinson’ is heavier than ‘Afalina’ and is, in fact, a completely different machine,” Jacov Kolesnikov, general director of HeliWhale told Russia and India Report website. “The American Robinsons are also much more expensive. A two-seat helicopter costs $300,000,” he added. Afalina has been built from scratch by the Russian designers, with HeliWhale producing all parts itself, except for the Austrian made engine, Rotax. “We are looking for domestic engines, and if there is a quality Russian engine, maybe we'll switch to it,” Kolesnikov said. Endurance test for the flying prototype of the rotorcraft are about to begin in short term. The company says that its production plant in Kemerovo will be able to build from 10 to 15 machines every year. They’ll be supplied to customers as kit-sets models for self-assembly in order to keep the price low, the developer said. Besides Russia, HeliWhale is planning to engage with the US, Australian, and EU markets, saying that it already has orders for Afalina from abroad.